About 80 percent of your body is liquid. Most of this fluid must be pumped and filtered through your kidneys. An intricate web of tubules, loops and capsules, your kidneys are the most complex organs in your body. Think for a moment about all the foods you consume, liquids you drink, and even the chemicals you breathe every day. Many of the toxins in your system are eventually filtered through your hard-working kidneys. A naturally complex process: About the size of your fist, your two kidneys are located in the middle of your back. Every day these sophisticated organs process about 200 quarts of blood and sift out about two quarts of waste every single day. This waste comes from normal processing of foods and liquids. After your body takes what it needs, it sends the waste to the blood where your kidneys filter it. Tiny units called nephrons do the actual filtering. Amazingly, each kidney has about one million nephrons to support this intricate process. Requires a complex formula, naturally: This complexity requires natural, high quality support - the kind you find in Ultra Kidney Complex. Look at all you get with each daily dose: Chloride 90 mg - facilitates the normal elimination of metabolic waste from the body. Potassium 99 mg - works with your system to help eliminate toxins from your kidneys. Potassium also helps maintain water and sodium balance and protects your urinary tract. Cranberry juice concentrate 100 mg - works to keep the bladder and urinary tract healthy. Green tea extract 500 mg - contributes to proper kidney function and healthy urine production. Standardized for 95% polyphenols. L-arginine 200 mg - especially beneficial for the kidney health of mature adults, this important amino acid supports urinary tract comfort. L-methionine 200 mg - this is a sulfurous amino acid that supports the excretion of toxins. Melatonin 1 mg - melatonin protects the body's cells against toxins. Milk thistle extract 250 mg - supports kidney health. Standardized for 80% silymarin. Quercetin 50 mg - works with your system to support digestive processes. 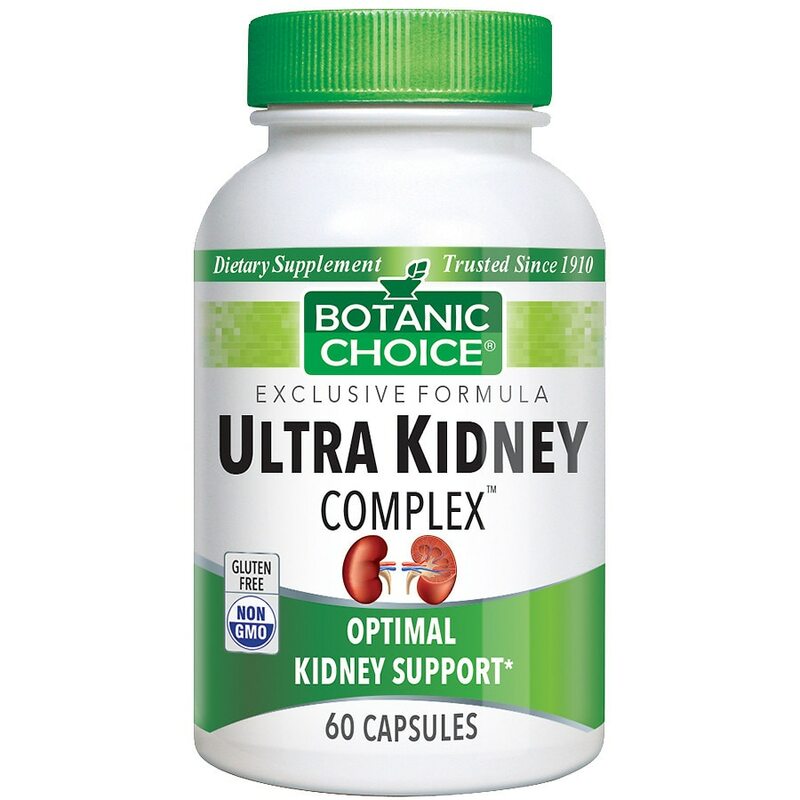 When you want the best for your kidneys and your health, it's Ultra Kidney Complex! Take 2 capsules daily, with meals, as a dietary supplement, or as directed by a physician. © 2012 Indiana Botanic Gardens, Inc.